Snettisham is now THE foodie destination of North Norfolk, with the chance to stay and drink in a UK Top Ten Pub! 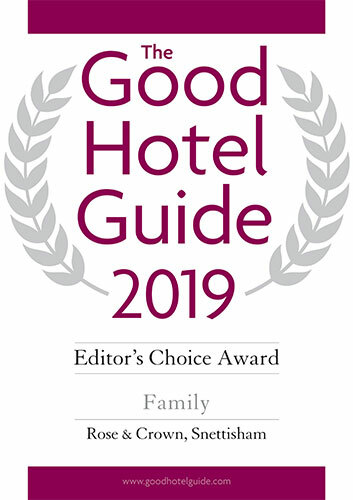 The new 2019 issue of The Good Pub Guide names The Rose & Crown one of its UK Top Ten Pubs for the sixth year running, with GPG awards for top quality food, good wines and bedrooms. 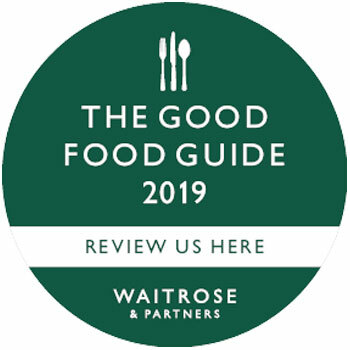 The new Good Food Guide 2019 names The Rose & Crown “A Local Gem” for the fourth year running. Needless to say we are delighted. And huge congratulations to our Snettisham neighbour The Old Bank Bistro, which has been named Best Local Restaurant of the Year, Overall UK Winner. info@roseandcrownsnettisham.co.uk | Tel: 01485 541382.